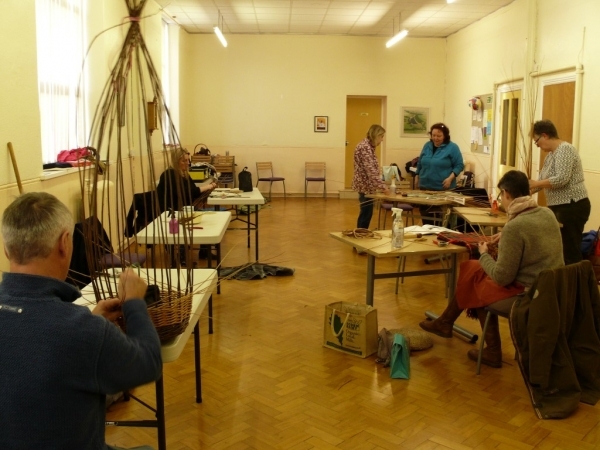 The Weardale Group started in November 2017 and meets in the St Thomas' Centre in Wolsingham, behind St Thomas's Church just off the B6296 (Angate Street). Access to the hall and car park is down the left-hand side of the church. A detailed map of the venue is available. You will need to bring a packed lunch and a pair of secateurs. A spray bottle, a weight, and a blanket or old cloth to wrap your work in would also be useful. A camera note book and pen. A small selection of tools is also available for use on the day. 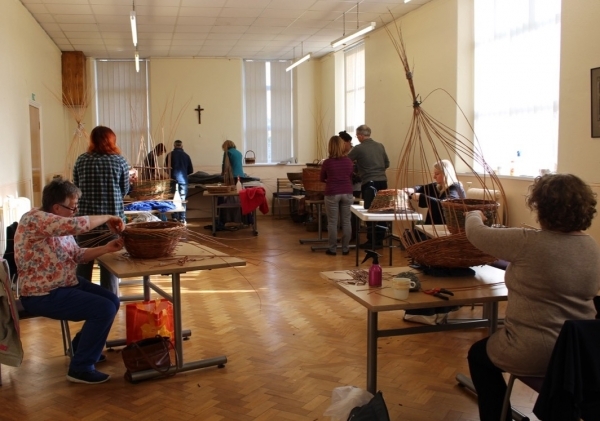 This local basketry group is organised for members of Northumbria Basketry Group and membership forms are available at the sessions. The group works without a tutor and everyone helps each other. 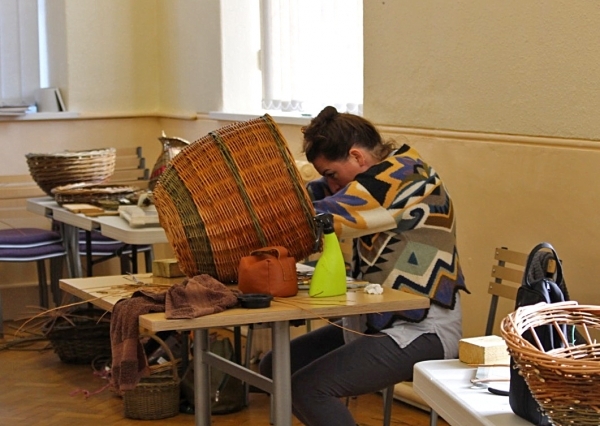 Participants will find the the group more enjoyable if they have previously attended a beginner's basketry workshop and all members are encouraged to do this at the earliest opportunity. The organiser can give more details of these. Future meeting dates for 2019: 11th May, 8th June, 13th July, 10th August, 14th September, 12 October, 9th November, 7th December.